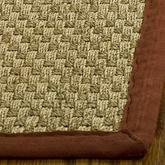 Need to cover the space beneath your kitchen or dining room table? 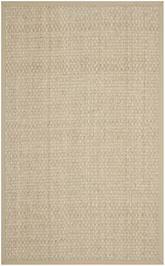 How about using a seagrass rug? 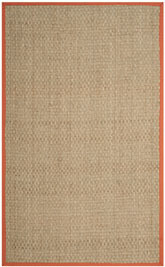 Seagrass rugs have a beautiful warm hue that’s as durable as it is inviting to look at. 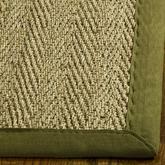 Often a favorite of interior designers everywhere, seagrass rugs are made from all-natural fibers and can benefit allergy sufferers because they don’t hold onto dust easily. 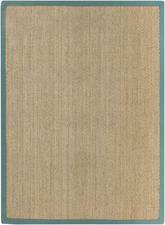 A seagrass rug will hold up well to heavy traffic and take a beating from furniture without looking worn. 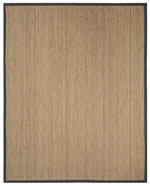 Non-absorbent and hard in texture, seagrass area rugs make for a good choice wherever dirt from the outside elements or spilled food or drinks come into play. 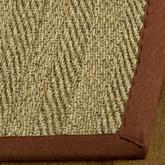 Seagrass rugs don’t stain easily and can simply be brushed off when they come in contact with dirt. 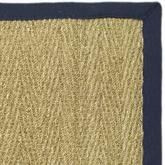 Are you convinced that a sea grass rug might be the right choice for you? 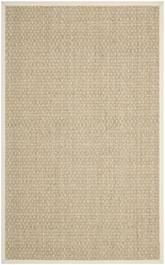 Shop for sisal seagrass rugs and sisal rugs discounts at Bold Rugs. Before you get started exploring seagrass area rugs, there’s one important thing you need to know: seagrass and seaweed aren’t the same thing! While they’re similar, especially since both of them grow in the water, purchasing a seagrass area rug doesn’t mean you’re buying a rug made from seaweed. 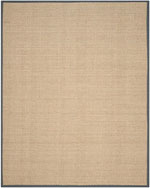 You are, however, bringing home a rug made from a beautiful and all-natural fiber that is sure to look incredible no matter what kind of space you’re planning to decorate. Let seagrass help your room flow perfectly throughout all of its design elements, or position your rug so that it takes center stage in your favorite room. 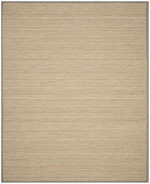 What are Seagrass Area Rugs? 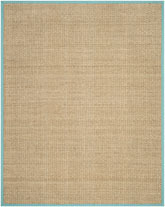 Seagrass material is made from real seagrass, and it’s a very common type of material to find in eco friendly area rugs. 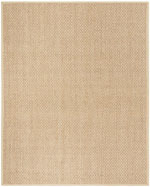 These rugs usually feature a latex backing, but they may be backed with something else more natural for an even more environmentally friendly experience. 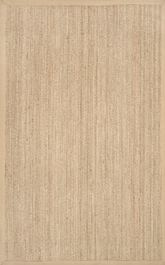 The front portion of the rug is usually made of dried and woven seagrass that is durable, strong, and beautiful. 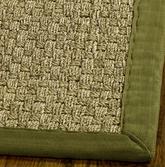 It’s not available in a lot of different styles since it must be woven instead of hand looped or machine sewnf, but if you’re looking for a material that will stay strong for a long time to come and give you a sense of the outdoors in any room of your home, seagrass is a great option. 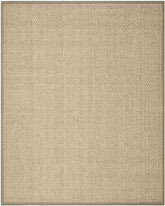 Seagrass is made from one of many different types of seagrass plants. Some are more commonly used for materials than others, but they all do their part. Seagrass can be found all around the world, from China and Taiwan to Portugal and even Florida. Since some types of seagrass are declining in their population around the world, if you’re very concerned with the environment, be sure to research the type of seagrass used in any rugs you’re looking into purchasing. 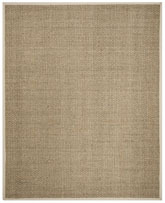 Be sure to choose rugs made with sustainable practices if possible. 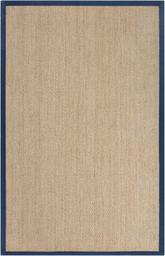 Sea grass area rugs can be found in several different sizes to help suit your needs. 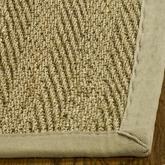 No matter what size room you have, if you’re hoping to create a great all-natural space, you can find the perfect seagrass rug to help. 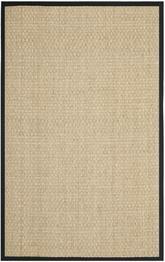 These rugs can be found ranging from the very large to the fairly small, and you can even pick up a seagrass outdoor rug or runner rug if you’re looking for something a little more specific with which to do your decorating. To pick the right size for your rug, first decide whether or not you want it to take center stage as the most important piece of décor in your room, or if you prefer it to be an accent piece. 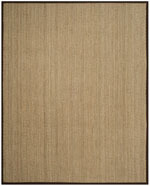 For a main feature, choose seagrass rugs 8x10 or even 12x14 to complete the look of your contemporary room. 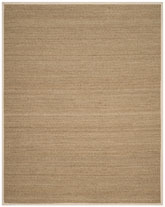 These large rugs are big, beautiful, and create a wonderful texture on the floor of any room. Use them to tie together traditional colors with modern materials for the perfect transitional space. 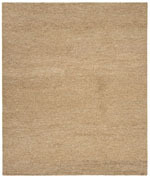 You can put together a great transitional space with smaller rugs too, however. Choose 4’ round seagrass rugs scattered throughout the room, and be sure to pick them in neutral colors to help bridge the gap between the two styles. 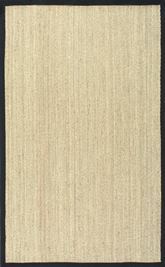 What Shapes of Seagrass Rugs are Available? 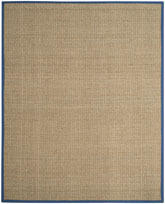 Seagrass rugs, like many natural fiber rugs, aren’t available in tons of different shapes. However, you can find enough variation amongst them to give you something different to work with in every room of your home if you so choose. Try a round seagrass area rug in your bedroom for a casual and contemporary feeling that will seem like you’re on vacation every time you sit down to enjoy a breather in this quiet, personal space. 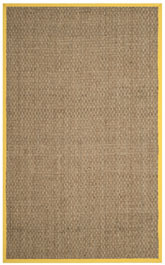 Pick a woven seagrass rug in a square or rectangle shape to use in your casual living room or other entertaining space, and arrange your furniture around it in a communal setting. You may find seagrass rags in slightly different shapes, such as oval, but for the most part you should expect to be working with traditional shapes even though you’ll be purchasing a nontraditional material. This can give you a lot of opportunity to work with transitional designs by combining the two styles perfectly within your area rug. 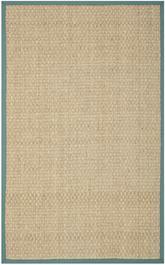 What is the Best Room for Using Seagrass Rugs? Although you can use seagrass in just about room in your home, there are some places where it’s a little bit less useful than others. 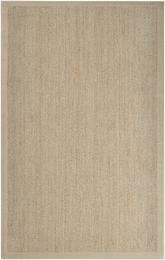 The kitchen, for example, isn’t a great place to use most types of natural fibers. This is largely because natural fibers often aren’t designed to be fire resistant, so using them near your oven or stovetop could be a potential fire hazard if anything unfortunate should happen. However, seagrass, like other eco friendly fibers like wool, sisal, and hemp, is a little bit difficult to clean, too, and this is another big reason to keep from using it in your kitchen. 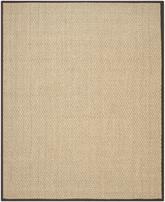 With that said, a color bound seagrass rug can look great in your living room, even though this space sees a little more foot traffic than most. Although seagrass isn’t the easiest material to clean, it’s very durable and can keep from having food and mud tracked and ground into it fairly easily. When it’s color bound, it won’t even run when you do need to clean it, and stains and spills will be less likely to cause damage. 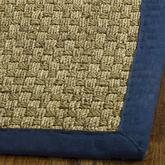 Keep your seagrass rug in the living room or maybe in the bedroom for best results. 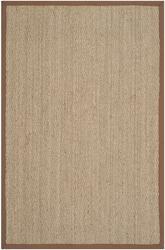 No matter what type of space you want to create or what style of rug you’re looking for, you can find something beautiful when you shop for seagrass rugs. 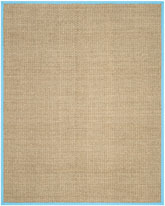 These rugs are available in a few different sizes and shapes to help you put together the type of room you’ve always wanted. Don’t limit yourself to just one! 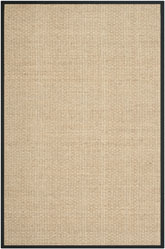 Although seagrass does have a unique texture that might not be right for every room of your home, combining more than one seagrass rug throughout your house can make a beautiful and fluid design that connects all your rooms perfectly.